Studies find that mindfulness training increases confidence, intelligence, and focus at work, leading to greater well-being. This is the question tackled in a growing number of studies. Here are three benefits to mindfulness on the job. A.D. Amar and colleagues at the University of Westminster measured the self-perception of leadership skills among a sample of senior managers in the London area—and then put them through a 12-week secular meditation-training program. The more mindful the supervisor, the lower their employees’ emotional exhaustion and the higher their job satisfaction, according to research published in the journal Mindfulness. But that study also revealed a caveat: When basic psychological needs like feelings of autonomy and connection with other people aren’t being met, the employee can lose the benefits of having a mindful supervisor. A separate studybuilds those findings by specifically exploring the link between mindfulness and autonomy. The researchers recruited 259 participants, assessing them for their mindful traits—like the ability to pay attention for long periods of time—and exploring how much autonomy they felt like they had on the job (as opposed to facing a more controlling managerial style). More mindful people were less likely to feel frustration, even when supervisors squashed their independence. 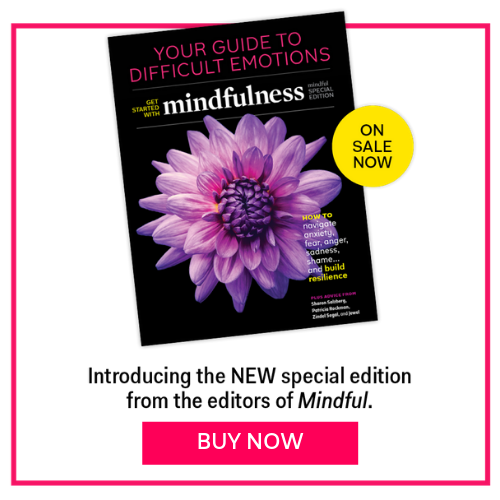 This article has been adapted from one that originally appeared on Greater Good, the online magazine of UC Berkeley’s Greater Good Science Center, one of Mindful’s partners. View the original article.